In addition to enjoying books, I am also a bit of a keen gamer. Not a very good one, mind you, as my hand-eye co-ordination and reflexes are about what you'd expect from someone with a desk job whose primary hobby is reading. One genre of game that I do get on with is the humble RPG, especially if it's one with turn-based combat. Take that hand-eye co-ordination, I didn't need you anyway. 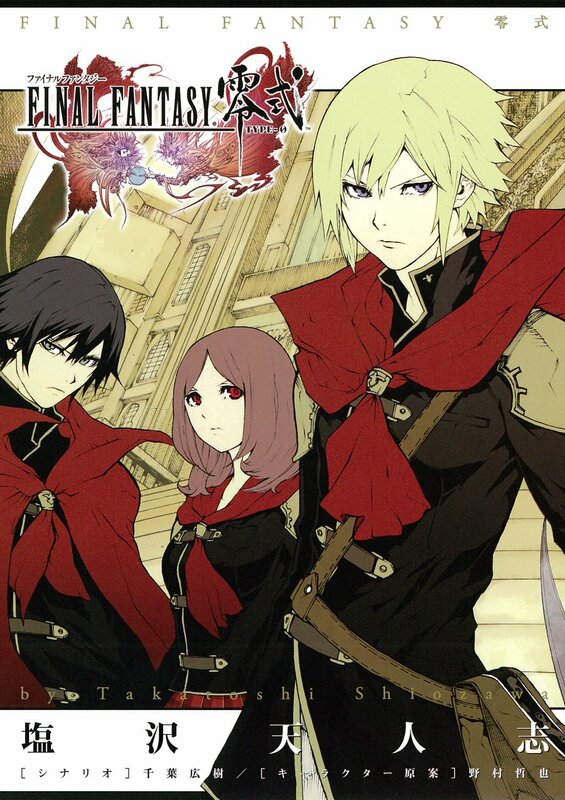 A prime example of the genre that I have never had a chance to play is the Final Fantasy series, so when I got a manga adaptation of one of their spin-off games, Type-0, I thought that this would be a prime opportunity to see if I would like to try this game in the series. Final Fantasy Type-0 follows the cadets of Akademeia's Class Zero, an elite group of twelve students whose magic is unparalleled in their country, to the point where they are considered to be a myth by many. But their strength is tested when, shortly after two other elite cadets transfer to them, their country is attacked and they find themselves at the centre of the battlefield. Adaptations of games tend to be one of two things. On the rare occasion, they are things of beauty and comparable in quality to the original product. Much more commonly, it's a complete dud for one reason or another. Final Fantasy Type-0 is unfortunately in the latter category, simply because I had only the barest idea of what was going on. As I haven't played the game, I can't judge how much gameplay the manga covers, but it feels like there is far too much being crammed into a tiny space. In the first chapter alone, the reader is expected to remember and recognise 12 separate characters with little to no introduction, when they are introduced mere moments before entering a big chaotic battle scene. It's far too much to take in in one chapter, and you can figure out who maybe a couple of characters are. It's kind of a pity that the creators decided to take this route, for two reasons. Firstly, you can see that there is a lot of lore that could be lovingly expanded on and explained properly with more time and space. As it is, cool concepts are introduced and just sort of left for the audience to ponder by itself. For example, in the main characters' country, the crystal that gives them magic also makes them forget people who have died. There's a line about how it's to stop people being held back by fear and grief, but it the development it gets is nowhere near enough for such an arresting idea. Hell, you could make an entire book about that alone, without even getting to the other stuff that Type-0 is trying to look at. Secondly, it frustrates me that such good artwork effectively goes to waste on a story that is all sound and fury, but no real substance. I might not have known or understood what the hell I was reading, but it was hella pretty to look at. If this had been the start of a slower, better paced manga, then this art would have been the cherry on top.